Got to kick around Pittsburgh this evening. I actually managed some twilight shots – something I don’t get to do very often. 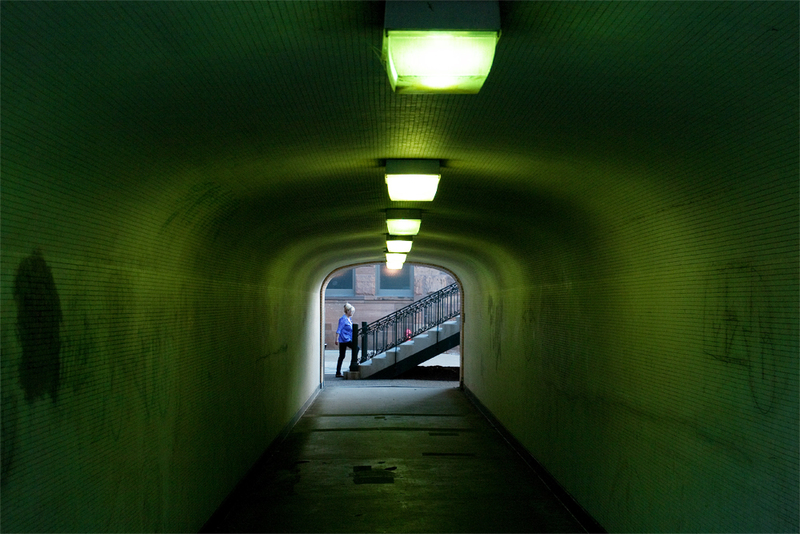 I liked this shot of the walkway because of the mixed lighting which created the greenish light inside the tunnel. Pentax K20D, DA17-70. I’ll throw a couple more shots up tomorrow. Hmmm, I like this one a lot! One of the more memorable images you’ve posted. Thanks Nathan. Something a lttle different from my usual stuff for a change.